New York, NY @ Madison Square Garden supporting O.A.R. This cruise will depart from Skyport Marina - 23rd & FDR Drive (EAST side). Boarding will begin at 7pm and the cruise will depart at 8pm SHARP. Don't be late - it ain't pretty to be standin on the dock, watching the party sailing away! There is a cash bar on board so make sure to swing by the ATM on your way to the boat. There are 'bar snacks' provided, but there will be no food for sale on this trip. If you have any questions about the show or your purchase, please contact Sancho Dominguez at sancho@rocksoff.com or check www.rocksoff.com/faq. On the corner of Coventry and Euclid Heights Blvd. @ main stage in Prozna Street. 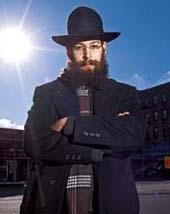 the free outdoor finale Jewzapalooza, which draws thousands, and this year features Israeli hip-hop artist Hadag Nachash, David Broza, Neshama Carlebach, Pharaoh's Daughter, Yosi Piamenta, SoCalled (pictured here) and more. 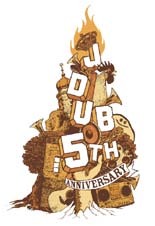 New York-based JDub Records brings artists performing innovative Jewish music that crosses cultures and breaks down barriers. Soulico, the four-member DJ crew from Tel Aviv with guest vocalists, delivers an original blend of Middle Eastern folk songs with hip hop beats using turntables, mixers and samplers. Golem takes listeners on a journey from Eastern Europe to the the Lower East Side. These folk-punk auteurs will electrify dance floors with their globetrotting goulash of Jewish, Slavic and Roma songs and stories. Looking for a good klezmer dance party? Look no further. This annual dinner and dance party is always a favorite. Featuring: DeLeon and J. Viewz, plus dreidels & gelt! Kick back with Birthright Israel NEXT and JDub Records for a relaxing afternoon at one of the biggest music festivals in the country - The South by Southwest Music Conference in Austin, Texas! Spend Saturday at the Copa’s beautiful outdoor patio enjoying free drinks. JDub bands Golem, Deleon, Girls in Trouble, and friends Fools Gold will supply the soundtrack while you enjoy bagels and lox flown in especially for you from NYC! Free “Rest Stop” Flasks for the first 50 people! So, take a break from the long and dusty Texas trail; head on down to the Rest Stop. Can’t wait to see you there! Copa Patio: 217 Congress @ 3rd St.
Just back from a wild run of the west coast and Austin, and now back to our home sweet home. We hope you can all make it out! New Generations is an open and vibrant community of young professionals, social activists, and community leaders, who are committed to the work of the New Israel Fund. 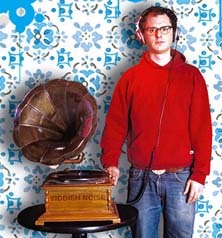 Soulico is a 4 member DJ crew from Tel Aviv. 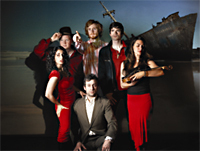 Their music is a unique mix of hip-hop, middle eastern melodies, dancehall, electronica, reggae, English, Hebrew, Arabic, and Spanish. The New Israel Fund's New Generations Benefit is the premiere annual event for progressive supporters of Israel, raising funds for the New Israel Fund's work to strengthen Israel's democracy and promote justice and equality for all members of Israeli society. 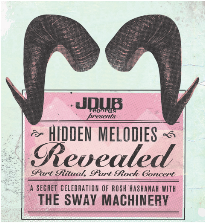 The Sway Machinery's Musical Extravaganza "Hidden Melodies Revealed: A Secret Celebration of Rosh Hashanah"